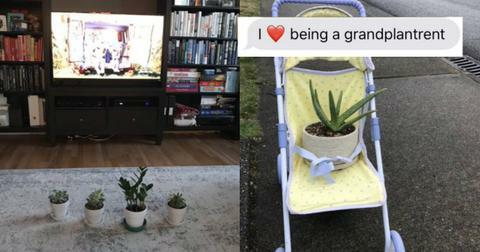 A woman asked her mom to look after some plants and ended up getting a series of photos dropping some not-so-subtle hints about grandbabies. 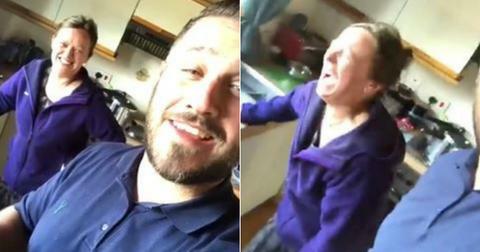 When my parents found out my wife was pregnant, they were happier about it than I was. I know it's messed up to admit, but maybe it's because they knew what to expect and went through that rodeo several times themselves. My dad was stoked, my mom was even more stoked and my grandmother was super-duper stoked, probably because she's gonna be a GREAT-grandmother, which must unlock some new mental powers or deeper philosophical understandings of the way the world works. It must be a total trip seeing a little human you raised from a crying, pants-pooping terror into a full-fledged adult popping out monsters of their own, so I can understand why so many people look forward to it as much as they do. The trouble is, everyone has kids at their own pace. Sure, biological clocks tick and tock, but do you really want to be the mom or dad you flat-out asks, "So where my grandbabies at?" 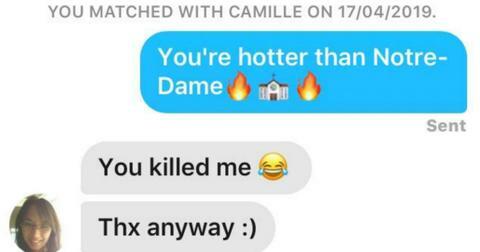 Sure, it's a pretty common approach for many, but having a bit more finesse is probably the best way to go. Finesse means different things to different people, but for Regan's mom, it means being absolutely charming and hilarious. When she asked her mom to let in some light for her photosynthetic babies, she went "above and beyond" by setting up a full-on "grandplantrent" photoshoot. She arranged the plants in cute little scenarios, taking them out for strolls and seating them in front of the TV. The message was clear and very strong: wouldn't it be nice to have a few grand-kiddos to do all this stuff with? It didn't take long for Regan's tweet to go viral, with tons of people calling out her mom for dropping the very heavy-handed hints. Plus everyone loved the term "grandplantrent" because let's be honest, it's pretty awesome. Unsubtleties aside, seeing these plants get this much love is actually pretty cute. Just look at it on top of that slide, and the fact that she's reading to it is amazing. So so cute. Uh, oh, looks like one of them got a boo-boo on the slide and needed a band-aid! Regan isn't the first woman to be harangued by their mother to have grand children, nor will she be the last. Nina Dobrev got very candid in an interview about her mother dropping some big-time hints that she wants some grand babies, like gifting her baby clothes and other cute items meant for kiddos at Christmas time. ""Two years ago she gave me baby onesies for Christmas," she told James Corden. "And this past year, she gave me diapers." If you're truly bothered by your parents constantly badgering you to give them some grandkids, maybe you can adopt this man's approach to counter-argumentative measures. Other moms were more like Regan's, though: willing to do whatever it takes to feel like a grandma. Pets kinda count, right? 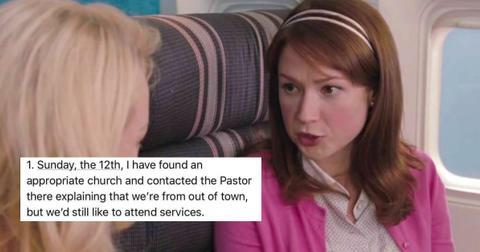 Then you have the moms who play matchmaker. 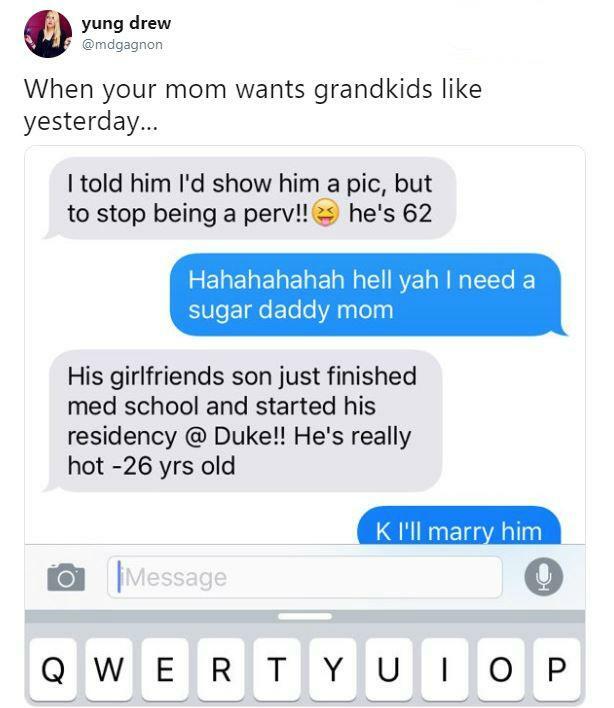 It's not really because they want their daughter to find the men of their dreams, though that would be a perk. 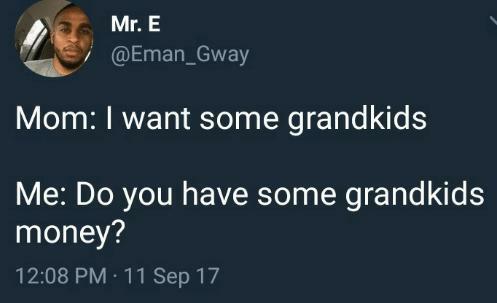 They're all about getting cute and cuddly little grandchildren to spoil for a few hours here and there before sending them home with someone else. 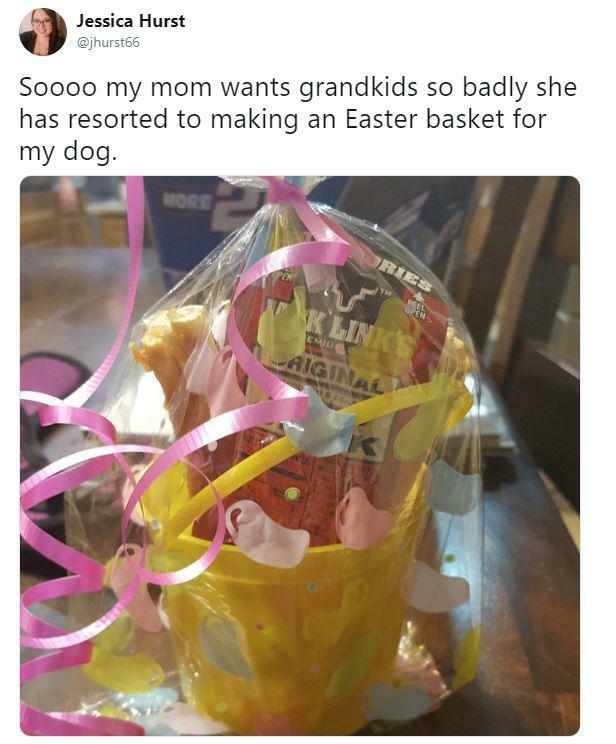 Others just found a different way of giving them grandkids entirely. In the defense of dogs: they'll probably never sneak out in the middle of the night, steal a bunch of money from your purse, and crash your car, or get arrested and disgrace the family name. Sure they might poop on the floor a few times, but anyone with a toddler will tell you they've seen worse. And then you have those parents that really don't know what they want at the end of the day. Humans really are some complex creatures, aren't we?